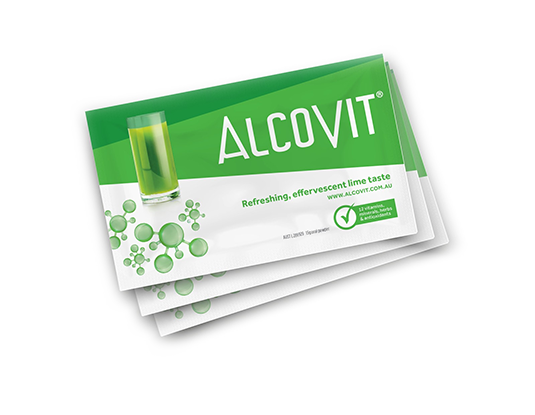 Alcovit works quickly to reduce toxins (like alcohol) within the body that are typically associated with hangovers as well as providing support for your immune, cardiovascular and nervous system and general wellbeing. 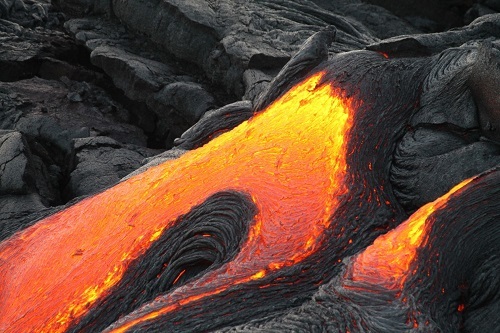 Volcanic rock also known as Clinoptilolite (scientific term) is a form of Zeolite or natural mineral silicate. Clinoptilolite (volcanic rock) is a known binding agent comprising of a microporous arrangement of silica. 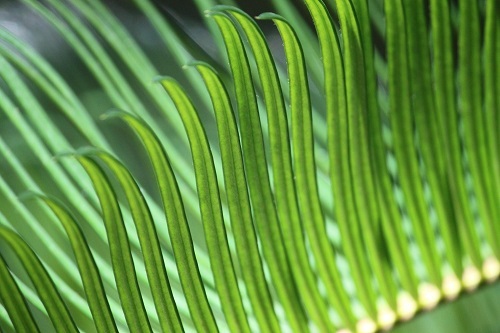 The surface area has a natural affinity to toxins like alcohol and heavy metals. It has been used for centuries to clean drinking water and has been developed medically to remove a variety of toxins from the body. 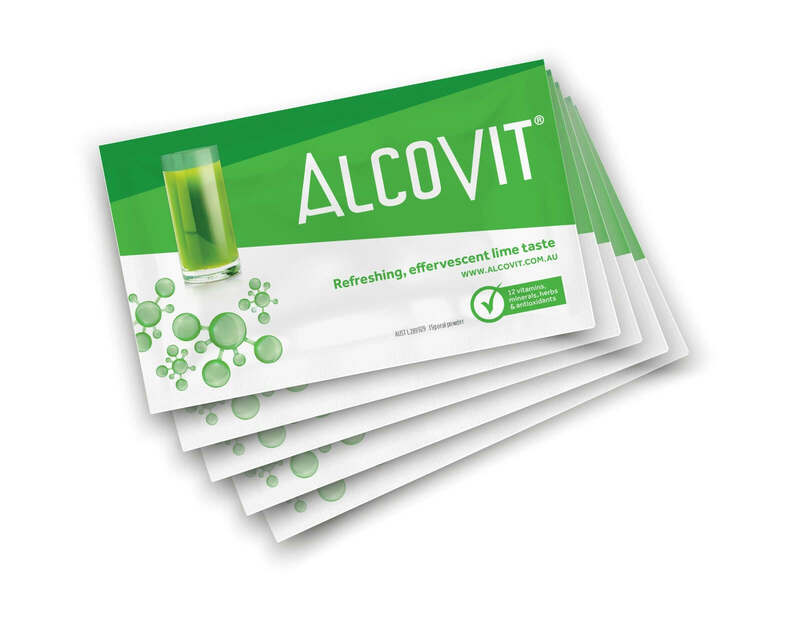 Alcovit has a lime taste and is naturally colored green from Chlorophyll, a power antioxidant that supports the body against free radicals, especially good in times of stress. There are no added sugars, no caffeine, no pharmaceuticals as these can put additional stress on your liver. Alcovit is preservative free and only 20 calories. 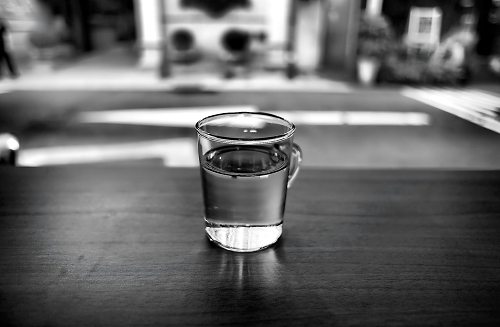 Taken as your last drink of the night, add all the contents of the sachet into a large glass and add 250 ml of still water. Stir, and let the bubbles subside then drink. 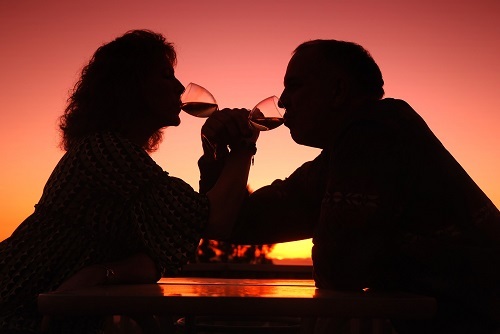 Although it is recommended to be the last drink of the night, Alcovit can be consumed at any stage. If it settles, stir again and drink immediately. After a wind down at the end of a stressful day with a couple of quiet drinks, feel better more often thanks to Alcovit. Alcovit works to quickly reduce toxins within the body that are typically associated with hangovers and provide support for your immune. Get out there and live your life. We are so confident in our product that if you aren’t satisfied, we will give you your money back. Conditions apply please read our returns policy. Alcovit is preventing your next hangover by science! Take as your last drink of the night to prevent that after party hangover and get your weekends back! Commonly being white girl wasted, I cant recommend this enough! I set my self up with the packet and glass of water by my bed before I drink, then when I eventually make it home BOOM ! I skull and go back to bed, I wake up feeling normal!! which is weird because I wasnt before this bad boy but hey it works! I stumbled (literally) across this at the Food and wine convention ! Best score ever!! I can't believe this works! I'd given up until a nurse put me on to Alcovit, I get this before I get my alcohol and when I take it before bed I am refreshed and actually want to get up and stuck into the day. I have also drunk it when really run down and it helped recharge me. I love ALCOVIT everyone should at least give it a go once. I don't bounce back like I used to after a night celebrating, and when stocking up on 'Christmas spirit' I was introduced to Alcovit and I'm glad we met! Let's just say, Santa is not likely to forget to visit this year after the Christmas Eve party, and Christmas day, and the many festivities to follow will be much nicer without the dull headache and other 'lovely' side effects of having a little too much.